Junie B. can't wait for Lucille's sleep over party. 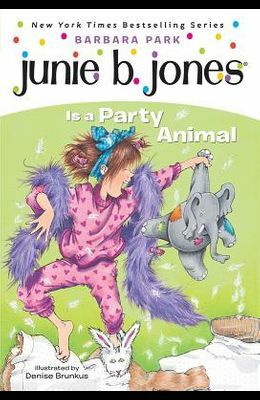 But before her parents will let her go, Junie B. has to learn all the rules of spending the night. Illustrations. From the front Cover Junie B. is spending the night! Lucille is having a sleepover party -- at her richie nanna's big giant house! Grace and Junie B. can't wait to see all the rich stuff in that place. Sleeping over at the nanna's is sure to be a dream come true!' Cause what could possibly go wrong?